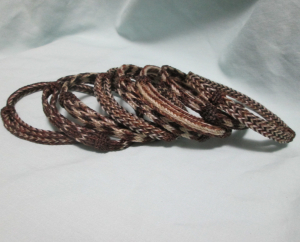 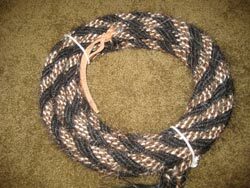 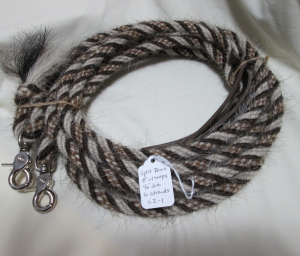 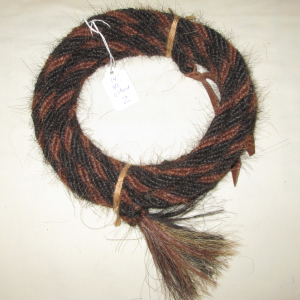 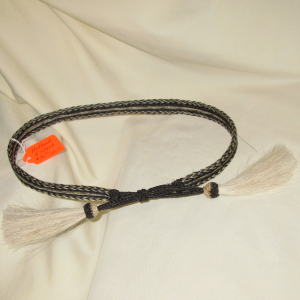 JT Silversmiths offers the following products made of horsehair: Mecates, Get Down Ropes, Roping and Split Reins, Hat Bands, Stampede Strings, Bolo Ties, Key Chains, Bracelets and Tassels. 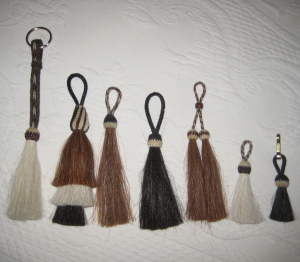 The MECATES are made of mane horsehair. 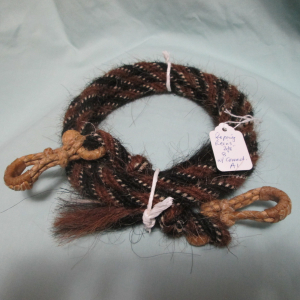 Cllick on Mecates (Mane Horsehair) to narrow your search. 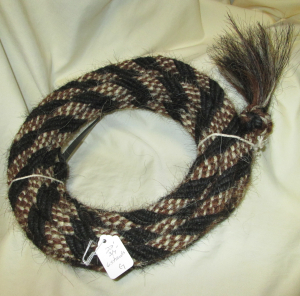 It will take you to the Horsehair - Patterns section so you can make your selection. 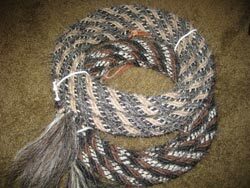 For more information or if you interested in a price quote please contact us.